To use the projector users just have to log onto a network and can display content in seconds, whether from a local sever, the internet or the cloud. As long as the WD390U-EST ultra-short throw projector is connected and logged on to a network, a Bluetooth-enabled keyboard and mouse, users can access content on a server, or in the cloud. The WD390U-EST projector has been specially designed for classrooms or small meeting rooms using DLP technology and by using the free SidePad and WiFi Doc applications, teachers and presenters can use a mobile device such as a tablet or a smart phone to access, mirror and control a computer that is connected to the projector and the same Wi-Fi network, and present Powerpoint, Excel, Word, TXT, PPD and JPG files from their iOS or Android devices directly through the projector. Both the SidePad and Wifi Doc apps are free downloads via the Apple® App store or Google Play. 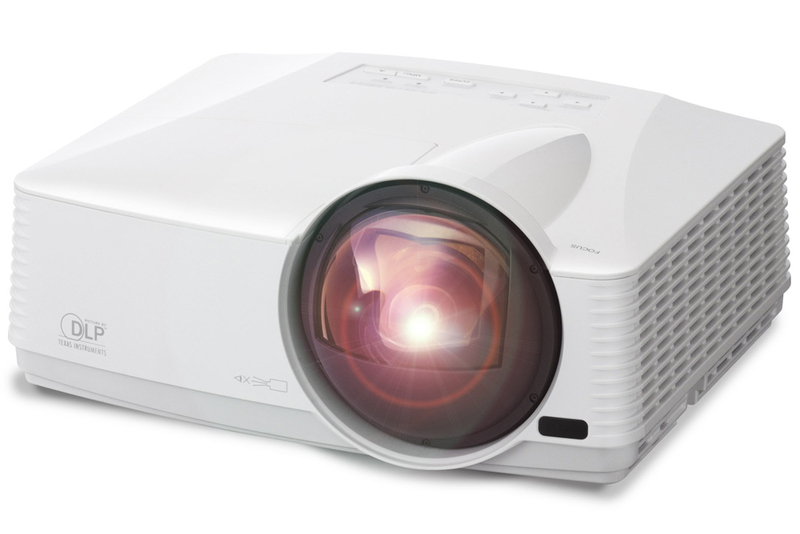 The projector has 3000 lumens of brightness, up to 6000 hours lamp life in low mode, and comes witha 10watt speaker with variable audio output built-in, so even when the projector is in stand-by mode, the speaker can still be used, eliminating the cost and necessity of external amplifiers and speakers. It can project an 80in (diagonal) wide-screen WXGA image from less than 26in away. It also offers HDMI support, and has an RS232 connector and a built-in RJ45 input to connect with third-party remote management products such as those made by Crestron and AMX, as well as Mitsubishi’s ProjectorView and Global+. The WD390U-EST expected retail price ex VAT is £827 and comes with a three-year loan replacement warranty as standard and three-year deinstall/reinstall warranty for the education and public sector.